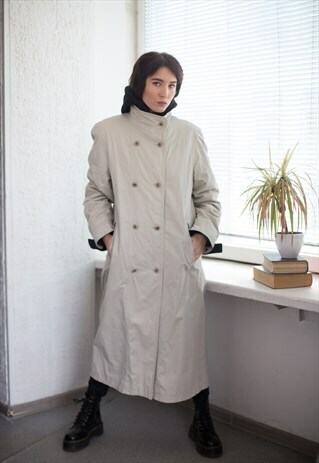 Vintage 80's beige double breasted coat with two side pockets and high collar. UK size written 10. Model size on the photo is 8. Measurements: length 49 inches, sleeve 25 inches, chest 42 inches, waist 44 inches, hips 45 inches.